Due to the size of your SUV or truck, the wheel and tire assemblies have to be larger which results in taller ride height. 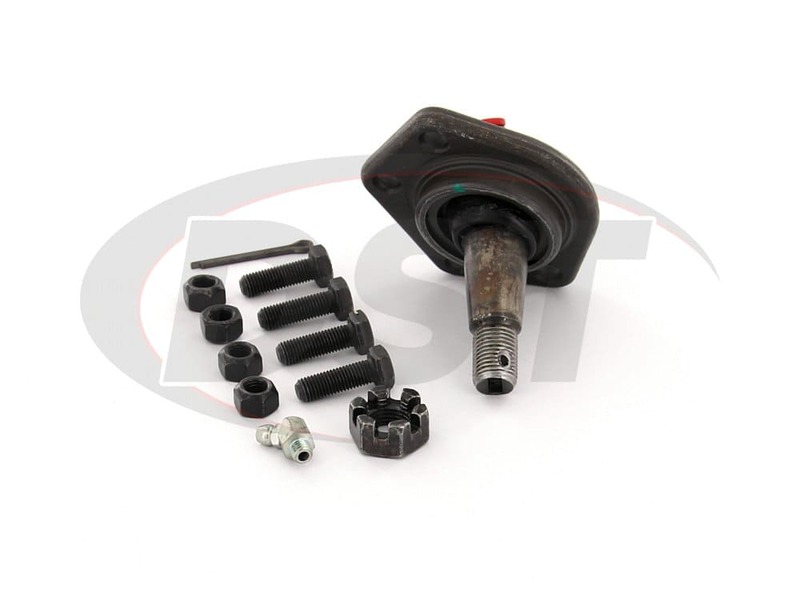 Ultimately the load from simply turning gets transferred into the ball joints causing radial deflection (or sideways movement), stress and wear on the bearing surface. The OE one-piece housing seal has failed, allowing contaminants to get in. You never had to worry about this before and were excited when you got your SUV or pick up. 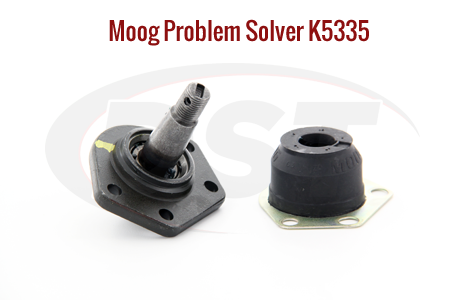 Good news, DST can help you enjoy your vehicle once again with Moog Problem Solver K5335. Moog Part Number K5335 utilizes a hardened powdered-metal bearing design that allows grease to flow through the bearing surface and onto the stud. This porous material allows continual lubrication to flush harmful contaminants off the bearing and stud surfaces, reducing wear and increasing performance. 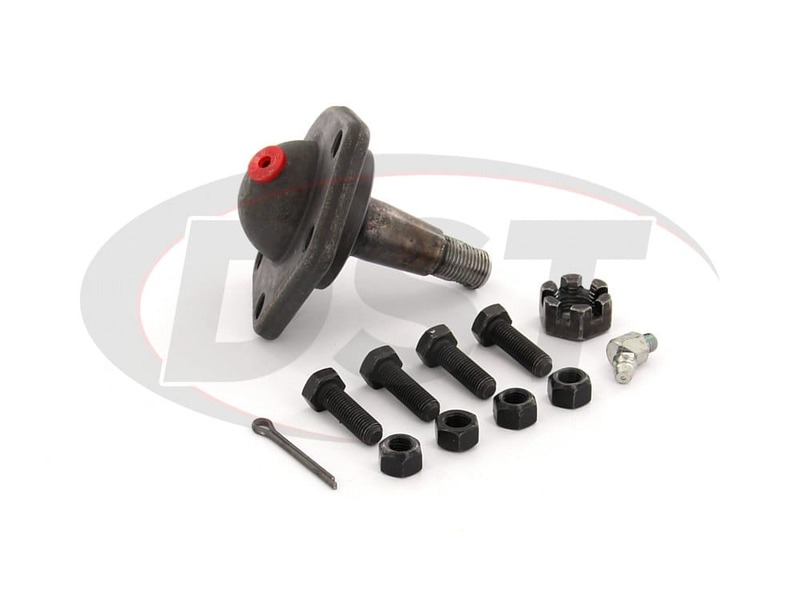 Moog designed this ball joint with a metallurgical structure for additional strength and durability. Split bearing technology eliminates excessive radial deflection normally experienced with high lateral loads. 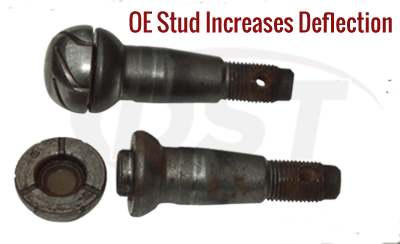 A Belleville washer preload provides lower stud articulation torque with minimal axial clearance. 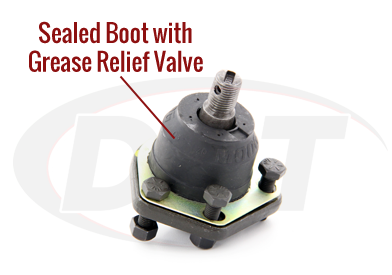 A special flange style boot was designed to keep contamination out and provides a serviceable option. Perfect never had a problem with Moog parts. I have the k5335 ball joint. I want to replace grease fighting with a straight fitting. Can you tell me the threads are they metric or standard, thanks? 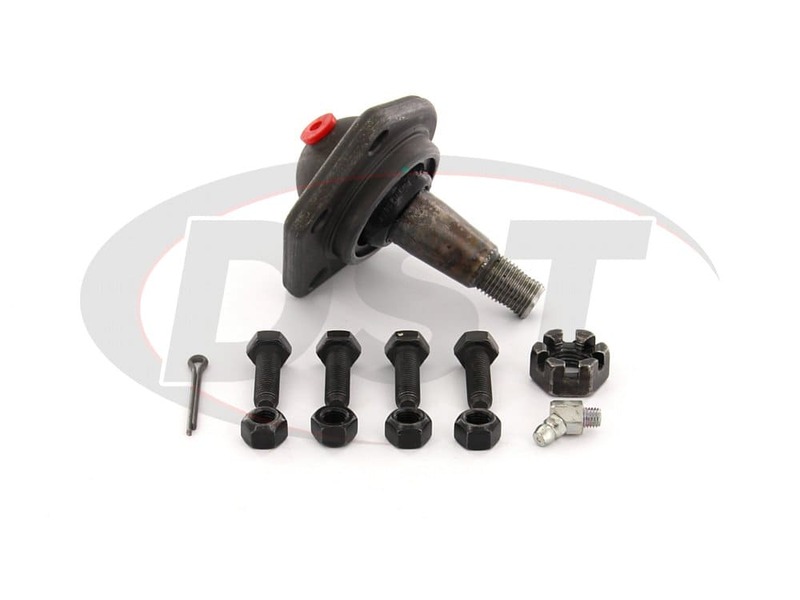 Moog grease zerk threads are 1/4x28 US standard on their ball joints and tie rods. 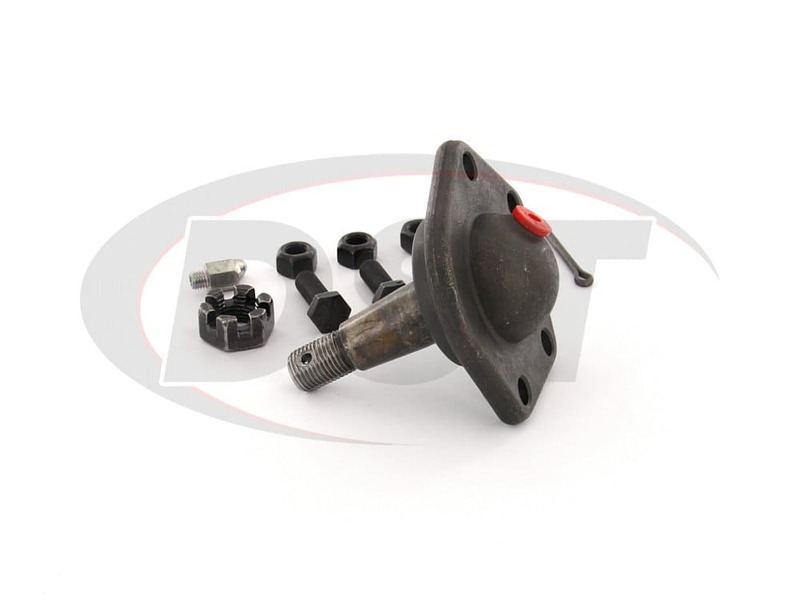 Moog-k5335 - Front Lower Ball Joint - I just received a k5335 w/out the sealed boot w/ grease relief valve! The instructions in the box say a pre-installed integral dust boot. Is this the same thing or am I missing parts? 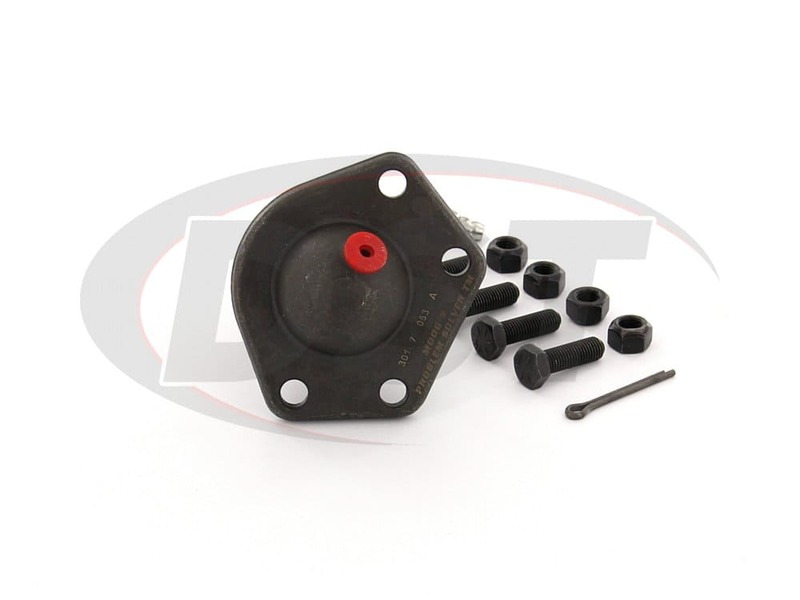 Moog-K5335 will have the integrated dust boot, which is built into the ball joint housing. You should be able to see it at the base of the ball joint stud, it almost looks like a rubber seal at the bottom of the ball joint stud.